Dr. Michael Reiss of Southern Nevada Chiropractic has successfully helped over 4,000 Las Vegas residents suffering from neck or back pain. Today Dr. Reiss gives new patients computerized spinal exam and a complimentary copy of his new book. Dr. Reiss has treated over 4,000 Las Vegas residents, with an emphasis in treating patients suffering with neck or back pain after a car accident. A car accident between two vehicles imparts a considerable amount of force on the body and spine. Even in low speed collisions, the forces add up to several times the force of gravity. This means your body generally cannot resist such large forces without being injured. These whiplash injuries may be minor, such as a muscle strain or more substantial, involving stretching of the disks and ligaments of the spine. Las Vegas chiropractor Dr. Michael Reiss, has recently published a book titled “The Las Vegas Car Accident Victim’s Health Guide.” The book is now available on Amazon.com in both paperback and Kindle formats. Dr. Reiss has treated over 4,000 Las Vegas residents, with an emphasis in treating patients suffering with neck or back pain after a Las Vegas car accident. "Will these whiplash injuries always cause neck pain or headaches right after the collision? Only if there is severe damage to tissues will you experience immediate pain after a collision. But most low speed collisions do not produce this type of instantaneous and intense pain. Instead, the person may feel "shaken up" or a little stiff," says Dr. Michael Reiss. "Unfortunately many patients interpret this stiffness as nothing more than a simple muscle strain and do not seek treatment for whiplash injuries. Up to two weeks can go by before you start to feel the effects of a whiplash injury. This is why it is important to see a doctor immediately to see if things are truly ok following an auto accident," says Dr. Michael Reiss. Where does somebody that has been in a recent car accident, even if they think they feel fine, find out more about car accidents in Las Vegas? 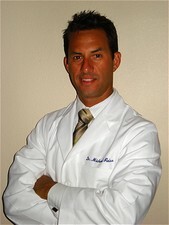 Visit http://www.LasVegasCarAccidentTreatment.com for more info about Las Vegas chiropractor, Dr. Michael Reiss. "Anyone suffering after a recent auto accident can receive a Free computerized spinal exam to determine the extent of the whiplash injuries as well as available treatment options," says Dr. Michael Reiss. Dr. Reiss believes this is important information for Las Vegas whiplash sufferers to be aware of, and he has decided to give away a free copy of his new book to anyone involved in a recent accident at http://www.lasvegascaraccidenttreatment.com/free-book.